We charge you a highly competitive commission fee, on completion of a successful sale. You agree with us the figure you would like returned to you and we will work on marketing the vehicle to achieve that figure. If the car is of the type we are actively seeking and meets our quality, we can purchase outright. To help facilitate a sale, we may accept a part exchange vehicle, again of the quality and type that we sell. Many people do not want the stress of the sales or negotiations when selling a valuable vehicle and do not like strangers/potential buyers coming into their homes. We understand this and take all of this hassle this away from you. Our in-depth knowledge of the current market and our negotiation skills ensure you get the best price for your car. All our contracts are transparent with no hidden extras or surprises. There is no charge for the first 4 months storage or advertising and if we do not sell your car, no fees are incurred. 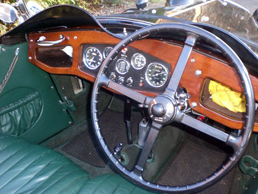 We can provide written valuations for individual cars or collections. Such is my passion for ‘our sort of cars’ that I am frequently asked to take the microphone and provide the commentary for Rallies and Shows. Recent events have been at the MG Car Club Event and various annual rallies. I am also a concours judge with much experience including the Riley Register Annual Coventry Rally and Austin Ten Drivers Club National Event. We take pride in looking after our customers and frequently go the extra mile. This may include tuition to master ‘pre-selector’ and ‘crash’ type gearboxes or familiarising with more complex starting procedures. We also introduce customers to relevant marque car clubs and registers, expert trimmers and suppliers of spares. Collaboration is key in the world of Vintage and Classic cars and we enjoy connecting people with our trusted specialists who provide an excellent service. If you are interested in discussing any of our services, please call us on 01420 474919 / 07710 364945, or email us at enquiries@robinlawton.com. 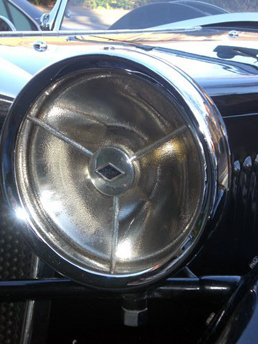 Over the years I have found that personal recommendations to professionals within our Vintage and Classic car world can save a significant amount of time and money and ensure you get the very best results. Through the years I have been privileged to work with some outstanding professionals and am delighted to list below a number of individuals who I would personally recommend. If you do contact them, please mention that I have referred you. Contact John Lomas for servicing vintage cars. Specialists in Rileys and MGs.